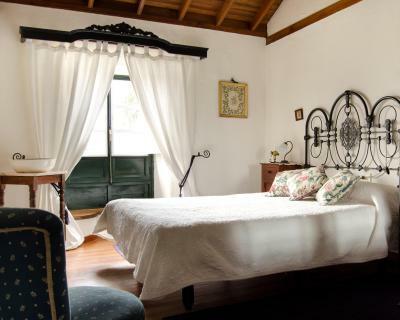 Lock in a great price for Casa La Gañanía – rated 9.3 by recent guests! The house is charming. A lot of rooms, in different buildings all close one from the others. 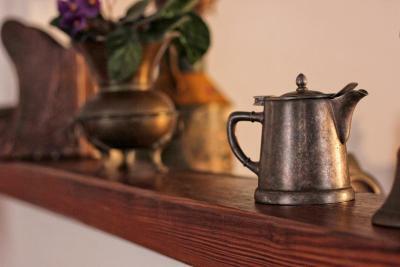 Feeling like living in a old canarian house. Very accomodating owner. Ambience is terrfic. Well equipped kitchen. Spacious outdoor area with great barbecue. Computer in the living room to search online. Beds are very comfortable. After one week traveling all aroud the island (and 3 days in mightmare of Adeje) we finaly came to Casa La Gañanía. Firs ot all its not an appartment its museum - everything equiped with local old elements of interier. At the same time its clean and comfortable. You have everything for comfortable rest - closed territory, own small garden with sunbeds, barbeque, outdore place for dinner for all family (also big dinning room) comfortable bedrooms. Kitchen fully equiped, you have everything you need. Located in quiet area, near to the plase you have malls, wineries, to the city Cemter or beach 10 min by car. So its better to have a car (relevant in general for Tenerife). Separatelly about the owners, very fendly, always ready to help, support, welcoma package surprised. Will plan one more visit with whole family. Thank you. Meget venlige værter der tog imod os og sørgede for at vi blev godt installeret. Stor hjælpsomhed pr. telefon hvis vi havde problemer. Der Garten, die Einrichtung des Appartements ist geschmackvoll, sehr schöner Platz draußen zum Essen. Die Gastgeber Javier und Blanca sind ganz reizend und geben gute Tipps, z. B. Restaurantempfehlungen. Sehr guter Ausgangspunkt um den Norden der Insel zu erkunden. Ich würde jederzeit wieder dort buchen. Tout : la gentillesse et la disponibilité du propriétaire, le soin porté à l’accueil et au confort de l’hébergement, très spacieux et tout en parfaite autonomie. Le lieu possède beaucoup de charme et aménagé et décoré avec un goût certain. La localisation est très avantageuse pour qui souhaite rayonner sur tout la côte nord, profiter des nombreuses randonnées et des plages sauvages, ou découvrir le parc naturel du Teide, tout en évitant la circulation des villes côtières. La Orotava, magnifique, n’est qu’à 10minutes, et tous les principaux sites touristiques en général, à moins d’1h ! Wunderschönes Anwesen, bei dem man merkt, dass es die Besitzer mit viel Liebe hergerichtet haben und auch selbst nutzen. Sprich es ist wirklich alles da und extrem gut ausgestattet. Betten gemütlich, die Decken kuschelig und alles sehr sauber. Wirklich top! Schönes altes und gut eingerichtetes Landhaus. Großzügige Räumlichkeiten und Aufenthaltsmöglickeiten auf der Außenanlage. Besser geht's kaum. Gute Verkehrsanbindung und Infrastruktur. Sehr nette und hilfsbereite Gastgeber. Würden das Haus jederzeit wieder buchen. Excellent accueil, tout confort et grande propreté ! Für mich als Individualtouristin und Naturliebhaberin war die kleine Finca ein idealer Ausgangspunkt, um die phantastische Landschaft des Nordens von Teneriffa zu erkunden. Die eindrucksvollen Naturschutzparks des Teide, des Anaga und des Teno Gebirges sowie die zauberhaften Städte La Orotava und La Laguna liegen gewissermaßen vor der Haustür. Sehr gut gefallen hat mir der Garten mit seinen Liegestühlen, in dem ich mich zwischendurch entspannen und die Seele baumeln lassen konnte. Zudem waren Blanca und Javier ausgesprochen liebenswerte Gastgeber, die durch ihre Warmherzigkeit sehr dazu beigetragen haben, dass ich mich gut umsorgt und rundherum wohl gefühlt habe. 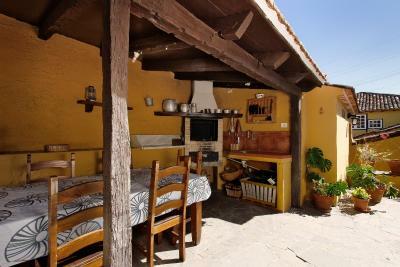 One of our top picks in Los Realejos.Casa Rural La Gañania is 10 minutes’ drive from Socorro Beach in northern Tenerife. This restored 19th-century rustic house features a garden and a covered porch. 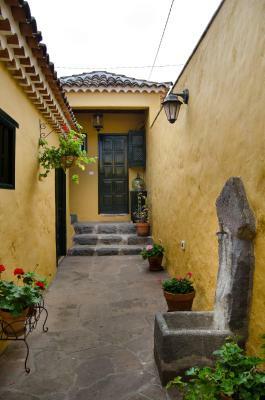 Casa La Gañania offers two independent accommodations, which share a common patio with barbecue facilities. You will find restaurants, supermarkets, a bakery and chemists nearby. Puerto de la Cruz, with its oceanfront Lago Martiánez pools complex, is a 10-minute drive away. 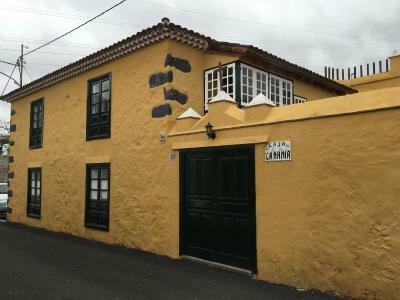 This property is also rated for the best value in Los Realejos! Guests are getting more for their money when compared to other properties in this city. When would you like to stay at Casa La Gañanía? Spread over 2 levels, this property features a patio. It has a well-equipped kitchen and 1 bathroom with a shower and washing machine. The ground level offers a living room, while the top floor includes 1 double bedroom and 1 twin bedroom. An additional bed or baby cot can be added to both. House Rules Casa La Gañanía takes special requests – add in the next step! Please note that the prepayment deposit should be paid within 5 days of making the reservation.